Host a Placement - Women's Enterprise Skills Training of Windsor Inc.
Women’s Enterprise Skills Training of Windsor Inc. (WEST) is a not-for-profit organization that provides a wide range of services, supports and resources to aid employers in Windsor-Essex meet their skilled labour needs. WEST staff will work with employers to identify their needs and ensure employers are connected to clients who match the skills and qualifications they are looking for. WEST understands the value in finding the most suitable candidates and will set-up an appointment to meet with you to learn more about your business and employer needs as well as, discuss how WEST can help you become a placement host. As a placement host, Women’s Enterprise Skills Training of Windsor Inc. (WEST) can assist your business with meeting its present and/or future human resource needs, through placements with incentives and/or volunteer placements. The volunteer placement and mentorship programs are targeted towards clients that have reached a satisfactory level of job-readiness and are now ready to enter the workforce. These programs give individuals the opportunity to gain work experience and develop skills to move them towards their job and/or career goals. As an employer host, WEST staff will work with you and the client to aid in creating an experience that will be beneficial to the employer and WEST client. Let WEST help you to connect to people with local and global experiences. To learn more about the services available to employers and how you can become a placement host, contact WEST at 519-256-6621. 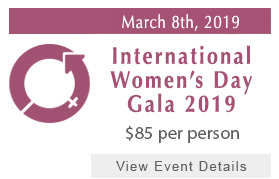 Women's Enterprise Skills Training of Windsor Inc.
© 2019 Women's Enterprise Skills Training of Windsor Inc..